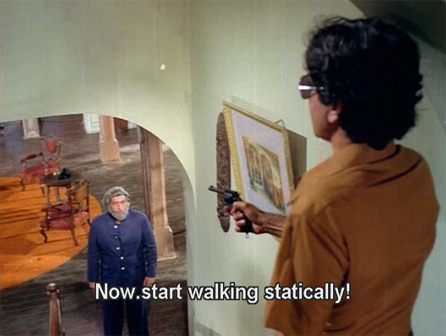 More often than I should probably admit, I see props in Hindi movies that look suspiciously similar to things that I myself own. 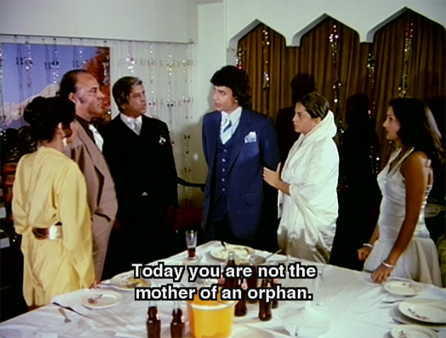 This is the movie that propelled me into helpless and undying Shammi infatuation. I did go willingly! 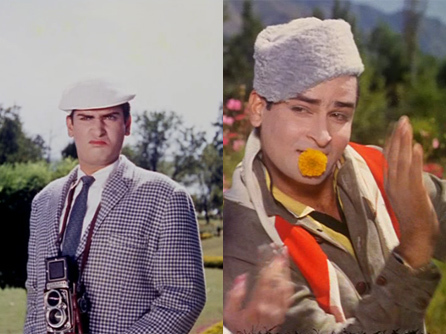 It’s a lovely romantic story set largely in the beauty of Kashmir, with songs to match by Shankar Jaikishan (including the completely fabulous Helen number “Suku Suku”). Shammi is so engaging as a stern, unhappy man who is transformed by love. 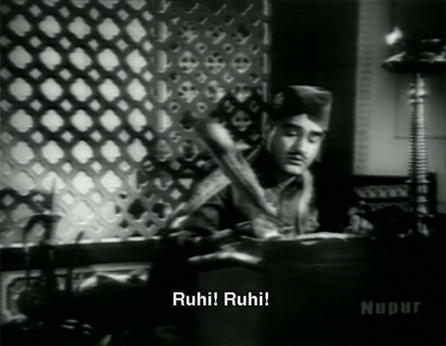 He is very ably supported by Lalita Pawar, Shashikala, Anoop Kumar and others—and Saira Banu in her debut film. 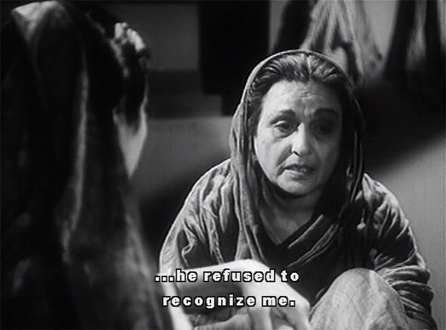 Warning: this is a long post with many screen shots, because I can’t talk enough about this film (and I can’t seem to stop taking Shammi screen caps)! 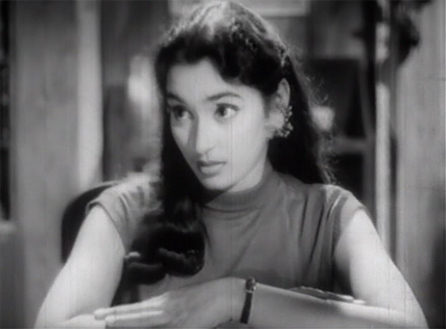 How do I love Vijay Anand, the director? Let me count the ways: Bullet, Tere Mere Sapne, Johnny Mera Naam, Chhupa Rustam, Nau Do Gyarah, Tere Ghar Ke Samne, Kala Bazaar, Guide, Teesri Manzil, Jewel Thief and above all, this one. They are of different genres, with varying levels of seriousness, but all are fabulous. 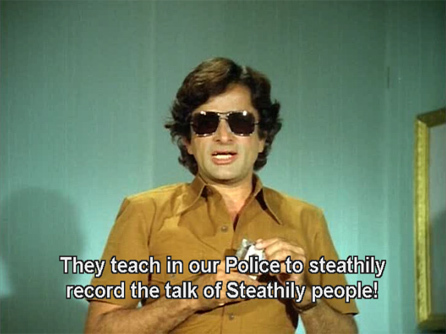 Blackmail is one of the first Vijay Anand films I ever watched, and I simply adore it. It may be the most romantic Hindi film ever! and that’s saying something! 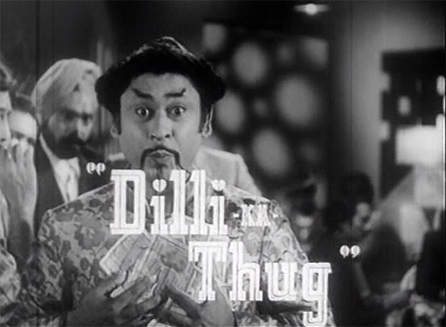 It also features international villains, a “formoola” that will change the world, blinding fashions, a gorgeous hero and heroine pair, and lovely songs by Kalyanji Anandji. Oh happy, happy! This film is nominally about the circumstances which led to the building of the Taj Mahal, although it’s so wildly fictionalized that it bears no resemblance to history’s version of those events. In any case, the plot was the least of the things I was paying attention to. In fact, the things I was paying attention to were far more entertaining, believe me. Was she the mother of an orphan earlier? I have loved the music from this film for a long time, especially the great song “C.A.T. Mane Billi.” The composer Ravi is one of my favorites anyway, and this is one of his best soundtracks (I also love “Yeh Raatein Yeh Mausam”). The plot skitters along rapidly with some very bizarre twists and turns, a great deal of comic relief—some of it quite politically incorrect, yay!—and moments of genuine suspense, as well. 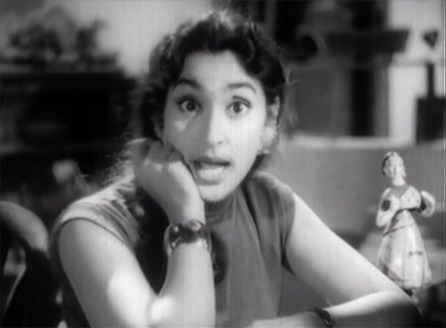 Kishore Kumar is at his loony best and Nutan’s sweet loveliness is the perfect foil. 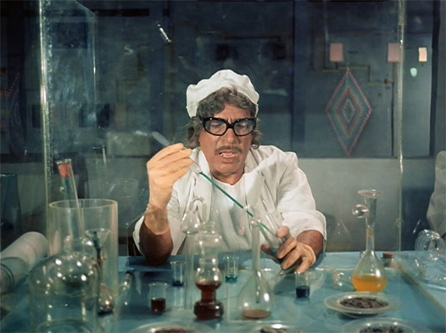 Throw in some great character actors in early roles (Madan Puri! Iftekhar! Tun Tun!) and what a treat it is. Bollywood evening on Wednesdays with Carla is becoming a tradition. Yay! Last night we watched a film in which this actress appeared, and trying to come up with her name was driving me insane. Of course I woke up at 3 am with it at the front of my brain, finally. Her career spanned 40+ years. Who is she? 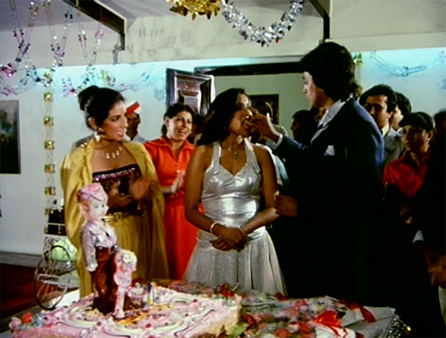 This Hindi film song is sung by a very well-known actress from a distinguished film family. Who is she? Bonus points if you know the film name!